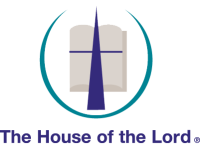 Thank you so much for sowing into the ministry of The House of the Lord. Blessed of God, we appreciate your heart, kindness, sacrifice, and assistance in ministering to the people of God and those that are yet to call Him their Lord and Savior. We endeavor to honor your gift with the utmost integrity.